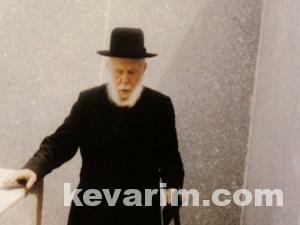 Directions to Kever: Along the right-hand side of the Rebbe’s ohel. Did he have children? 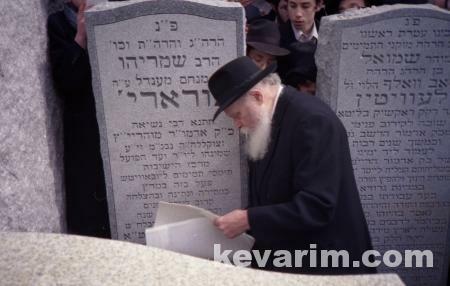 Why didnt one of them become rebbe as the Berach Moshe, a nephew, did in Satmar? 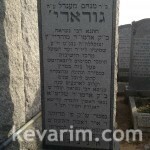 He had one son, Sholom DovBer, known as Barry, who was niftar in March 2005. Given his role in the court case over the ownership of the Chabad library in the 80s he would not have been an accepted successor as rebbe. 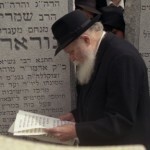 Plus, though he always remained frum, he was not necessarily chassidic, and made a career as a physicist. 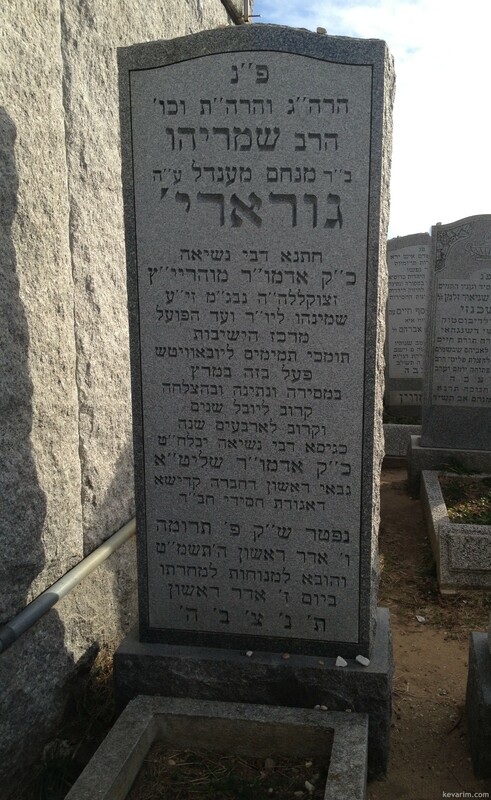 Interestingly, his wife the daughter of the frierdike rebbe, is buried in the Munkacther chelka in New Jersey. 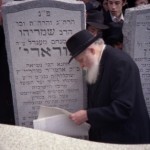 Apparently, she was so distressed about things which happened in Chabad that she did not wish to lay there after 120. 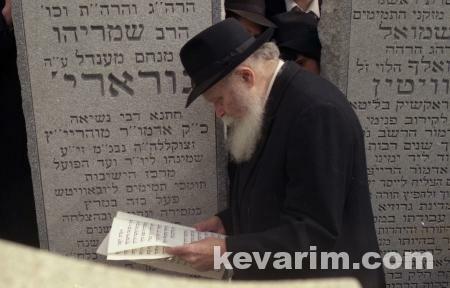 She told those close to her that her father had always felt a special closeness to the Minchas Elozor, after spending time next door to home at a spa in Europe (Marienbad?). Can anyone identify any of the others appearing here?